People who are blind in one eye or have low vision in one eye have issues dealing with the lack of binocular stereoscopic vision and reduced peripheral vision. Current virtual reality hardware allows all visuals to be presented through a screen built into a headset. The idea presented here, utilizes two wide angle cameras affixed to the headset and presents the combined video feed to the user’s better performing eye. 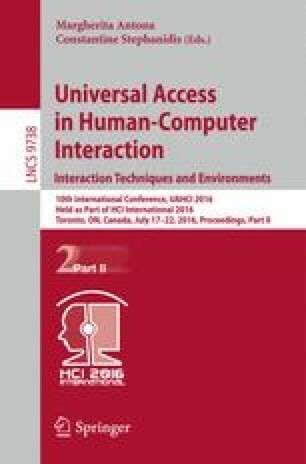 A user study with 11 participants, including 3 participants who are blind in one eye, was performed to understand the feasibility of increasing the peripheral vision of a person with only one functioning eye. Three different types of image combination were tested and user preference and performance were recorded.